Umbrella Corps proves one thing: that Capcom does not hesitate to take risks with its franchise. As a multiplayer shooter focused on mobility and verticality, Umbrella Corps sics two teams on each other in the series’ more infamous locales. 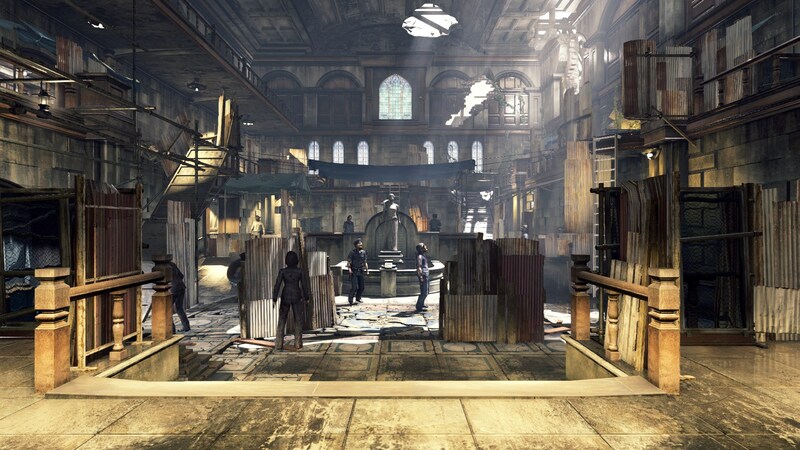 Among the fan favorite environments, Resident Evil 2‘s police station and the village from Resident Evil 4 host a variety of skirmishes. One Life Match lifts inspiration from Counter-Strike, for example, giving competitors one life per round to eliminate their opponents first. Umbrella Corps also includes a one-player, objective-based campaign called “The Experiment,” but it’s not much of a selling point. You control a well-armed operative (test subject), who must confront hordes of increasingly dangerous zombified civilians and dogs, using whatever means necessary (like your ice axe and shield) to assist you. Considering its smaller scope, Umbrella Corps remains a digital-only title, which launches today on the PS4 and PC (sorry, Xbox One owners). The standard edition costs $29.99, though you have the option of buying an upgrade pack ‒ for another $14.99 ‒ that contains iconic character skins (Leon, Chris, Wesker, etc. ), weapons, emotes, and additional goodies. If readers want to save a little money, the deluxe version bundles the game and upgrade pack items together for $39.99. So tell us, does your Resident Evil love run deep enough to purchase Umbrella Corps? PC players, will you allow this fast-paced shooter to be buried among Steam’s upcoming summer sale? If you’re waiting for our review (we received our codes today), check back later this week when we offer our final verdict on Umbrella Corps.